On the eve of the midterm elections, an American abroad hopes for a change of course. Recently, my family and I were driven to an airport in Queensland by an American who had been living here for 30 years. Normally, this would have been a perfectly pleasant encounter – an opportunity to speak to a countryman about his experiences abroad. And that’s certainly how it started. He was grateful for the amicable relationship between John Howard and George W Bush because it allowed him to become a dual citizen. He missed Mexican food. You seem nice, I thought. But who did you vote for? The driver was an older gentleman, so he would have been trained, as many Americans have been, not to bring up politics or religion in polite company. And I was satisfied with that arrangement. There was no need to turn this temporary relationship into an uncomfortable confrontation. “Do you still vote in US elections?” my wife asked. I felt my legs go numb and my throat close up. I prepared for disaster. “In 2016, I voted for the first time in 26 years,” he said… and left it at that. So he was either so moved by Trump’s blatant incompetence and offensiveness to vote against him – or he was so inspired by Trump that he went through the trouble of filling out the paperwork and voted for him. I suppose it’s also possible that he was a huge Jill Stein fan, but that seems unlikely. I couldn’t know for sure and I didn’t want to. He didn’t either. He knew we were from New York. He could see we were brown. Odds were, we voted for Clinton. What would I have done if I had found out he was a Trump supporter? I probably would have stayed quiet, kept the conversation to a minimum. It doesn’t seem like a good idea to yell at someone for being complicit in the corruption of American values when they’re driving your family to the airport. And it was raining. Too many variables. So we parted ways (hopefully) thinking well of each other. But we were afraid to speak openly, to be who we were, to have an honest conversation. I was afraid of how much I would resent him if I knew he voted for Trump and maybe he felt the same way. This is what two years of Donald Trump's presidency has done. On a personal level, he’s made Americans suspicious and fearful of one another. I'm ashamed of what’s happened because I didn’t think America was perfect, but I certainly thought it was better than this, writes Nick Bhasin. When Trump was elected in 2016, I wrote an essay about how disappointed and frightened I was of America, where I was born and raised, after it had elected a reality TV show host to be its leader and global representative. It was an extremely difficult, emotional time and I was in shock – not necessarily the best circumstances under which to write an essay about politics. But I certainly wasn’t alone. After an interminable campaign season marred by sexism, racism and a bunch of other gross stuff, people were angry. Very angry. There were protests. Watching it all unfold – helplessly, from the other side of the planet – has been like experiencing a real life, reverse Dave, if Kevin Kline was an openly racist Twitter troll fanning the flames of a culture war while serving the cold, dark agenda of a minority political party looking the other way on white nationalism. Like the rest of the globe, I assume, Australia has been transfixed by this scary reality show. This ugly American circus characterised by lies, cruelty and corruption. Charlottesville. The Russia investigation. Kids “in cages”. Every day is a new nightmare. Maybe I’m a snowflake. Maybe 11 years of universal healthcare has made me soft. But it hurts to watch America go through this. The author at the Lincoln Memorial in Washington DC in the 1980s, when Donald Trump began planting stories about himself in New York tabloids. Every election is positioned as a wake up call for the loser. So for Democrats, it was time to get out of their bubble and figure out why their message doesn’t work, why they’re out of touch, why American hates them. I certainly didn’t like thinking of myself as living in a bubble. I’m not even sure what that bubble could be, given that I live in Australia. Yes, I read The New York Times principally, but I also read a lot of international news. Is it possible to be in a global bubble? Nevertheless, I started reading right wing publications, from the sober and staid – The National Review, The Daily Standard – to the truly unhinged – InfoWars, Breitbart. I listened to podcasts by Ben “Facts don’t care about your feelings” Shapiro, Steven Crowder, the Ricochet network and Commentary Magazine. While this has been a valuable exercise, it’s also time consuming and exhausting. On the far right especially, there’s an emphasis on being anti-anti-Trump, sidestepping any criticism of the president by focussing on the supposed overreaction by the left. There's also pure demonisation. They narrowly focus on the most extreme behaviour on the left while glossing over just how powerfully divisive the president is. Yes, Donald Trump is controversial, but did you see how poor Ted Cruz was bothered at dinner? Did you see?! This is what they do! But while I’m trying to balance my media consumption, the partisanship is only growing more intense. We’ve all stopped pretending that Americans on either side of the aisle have anything in common. Even Supreme Court justices, who have always been partisan, are now openly so. And the idea of a president as a unifier? Someone above petty politics that brings the country together? That is in the trash. Trump pulls people apart. He emphasises the differences. He’s the Demoniser in Chief. And even if he didn’t invent the racial hatred and anti-Semitism and misogyny that’s inspired recent acts of terror from the right, he’s certainly doing everything he can to provide a nurturing environment for them. 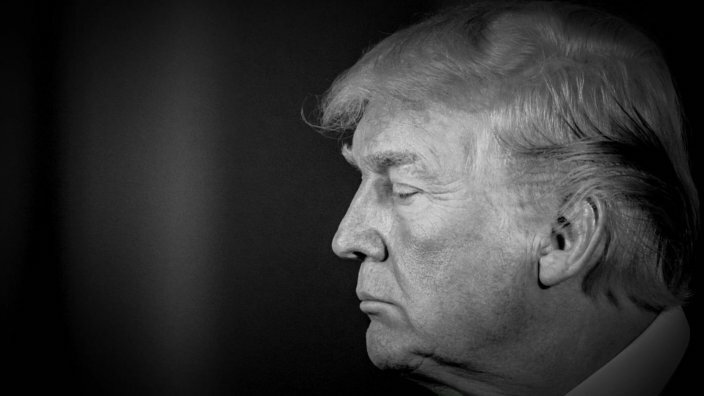 As soon as he became president, hatred was reported to be on the rise and according to ABC News, his name has been invoked 17 times in connection with "violence, threats or alleged assaults". If Trump has done something positive - and he hasn't; not intentionally anyway - maybe it’s that he’s woken people up. I never wanted to have anything to do with the tedium of politics. I voted, but I did not want to have to pay attention to the Congressional comings and goings, even debates where all the candidates sounded like total phonies speaking in sound bites. Outside of politics nerds, who would be engaged by that? Now? I’m sweating through senatorial races in Texas. I am invested in the governorship of Florida. I’m praying that the incumbent white nationalist in Iowa’s fourth congressional district loses and is somehow deported. In this high stakes environment where we’re being told to make a panicked call to your senator every five minutes and some are predicting another civil war, vigilance is the least I can accomplish. If it will inspire people to get to the polls, I will jam myself into my old Boy Scouts uniform. Now that the midterm elections are upon us and there’s a chance Democrats may regain some power in Congress, Trump is taking the fear mongering up a notch. Jewish magnates are bringing a caravan of brown refugees into the country. Democrats are responsible for the crimes committed by illegal immigrants. Trump will say anything to make people afraid enough to vote Republican (especially if he can avoid talking about the future of work and healthcare). It reeks of desperation, yet we know from our experience two years ago that, to some extent, it works. But it doesn’t have to be devastating. Americans have a chance to course correct this week. It’s not the same as voting Trump out of office in 2020, but it’s a start. It’s a chance to make a statement acknowledging that regardless of where you sit on the political spectrum, all of this divisive rhetoric, apparent corruption and obvious incompetence is bad for the country. That we’re not perfect but we can certainly do better than insulting a sexual assault victim. That we can find solutions to complicated problems like immigration without separating children from their parents. That we can criticise the media without calling it the enemy of the people. That we don’t want to be literally laughed at by the rest of the world. That Trump was a mistake. And we’re owning up to it. Will that America show up on November 6? Or will we blow it? Watch the double episode midterm election special of Full Frontal with Samantha Bee on Thursday 8 November at 8:30pm on SBS VICELAND. Or stream it at SBS On Demand. PBS News Hour's midterm election special airs Wednesday at 2pm on SBS VICELAND.